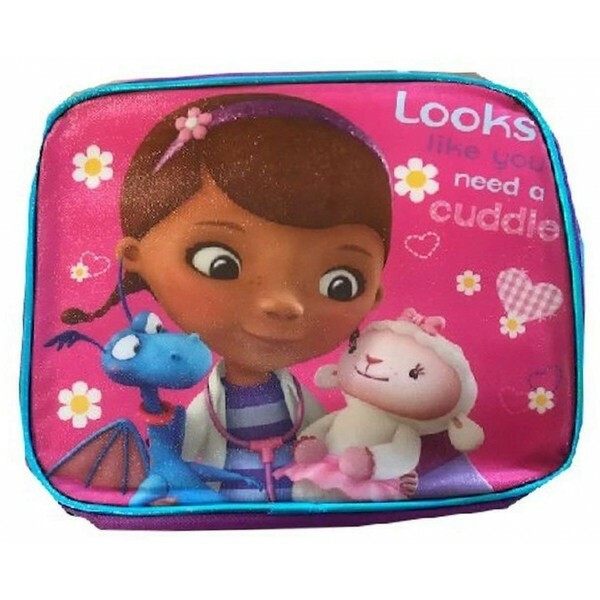 Fans of Doc McStuffins will love this insulated lunch bag that reminds kids that, sometimes, a cuddle is the best medicine! 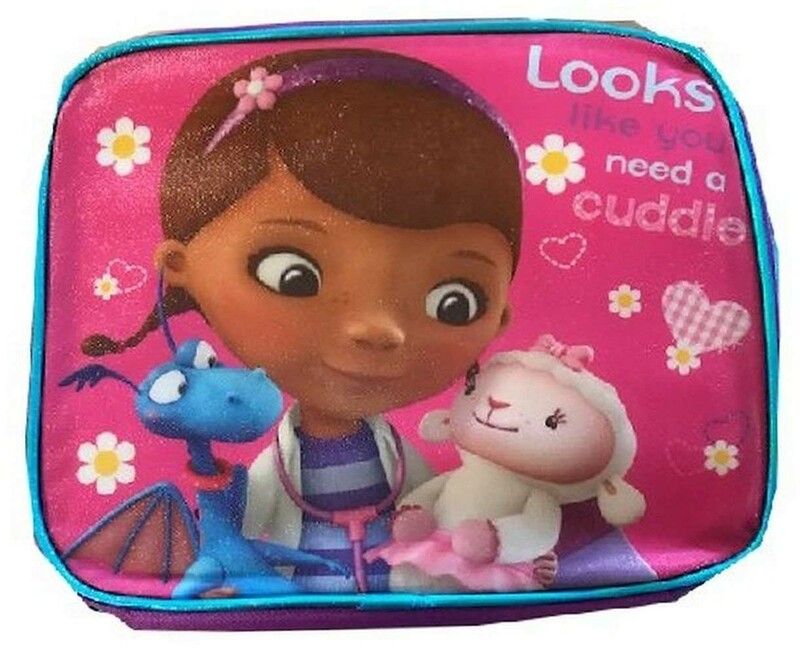 This 9.5 by 8.5 inch lunch bag is officially licensed and features a graphic of Doc, Lambie, and Stuffy. It's the perfect way to bring a little friendly encouragement to her lunch at school!